you have a password and you want to get your training schedule, read before the section "how to get the program training"
Sport-Sys PASSWORD is a string of characters that inserted in the red field of the claim forms allows to get personalized training schedule without making the payment process. 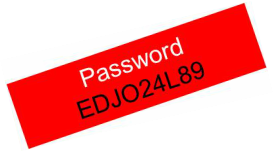 Passwords are contained in Coupons or can be purchased and used when you ask for the personalized training shedule. After payment you will receive a password (or how many requests) that allows you to enter the necessary data to structure and receive a personalized training protocol on your needs.